If you are a wealthy white-collar criminal and you want to be able to transit international customs kiosks without being searched, when you arrive at a third-world nation, purchasing a diplomatic passport from those jurisdictions where cash money talks is the way to do, if you take the very long list of "diplomats" who have bought their counterfeit diplomatic status abroad. The problem is, United Nations Vienna Treaty regulations require that you actually be a working diplomat, assigned to a specific task at a specific consulate or embassy, and that you be approved by the host country where you will be working. These so-called "Ambassador-at-Large appointments are easily seen as bogus by both law enforcement, and the courts, when diplomatic immunity is pled. So what does an enterprising jurisdiction like the Commonwealth of Dominica, where there are more than 550 diplomatic passports issued, in small country with few diplomatic posts, do ? 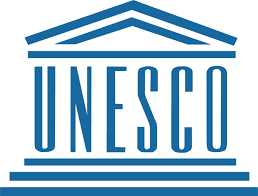 You appoint your "Ambassador Extraordinary and Plenipotentiary to the Permanent Delegation of Country X to UNESCO. The United Nations Educational, Scientific and Cultural Organization, which has its headquarters in Paris, provides the ideal cover for bogus diplomats; their "duties" are so limited as to be non-existent, and if the country providing diplomats to UNESCO, as Dominica does, increases the number of individuals posted there to a dozen*, nobody actually has to do anything, save the secretary. The World Heritage Site applications appear to be the only business Dominica has with UNESCO, ever. The Paris location provides a perfect excuse to travel to France multiple times a year, without arousing suspicion, and Swiss banks are just a short train (or limousine) ride away. Is it a coincidence that the brother of one of Dominica's UNESCO diplomats is the Consul for Dominica in Switzerland, and he just happens to be not only the former director of a very private Swiss bank, but is currently the owner of a "strategic wealth management company" in Dominica. Bottom line; if you are a career criminal seeking to buy your way into the privileged world of diplomacy, you best make sure there's some BS assignment attached to it, if you want to snow customs officers who want to open your suitcase containing stolen bearer bonds. Seriously, compliance officers who are presented with a diplomatic passport as proof of identity should immediately look beyond the four corners of the document, to determine whether you are truly seeing a bona fide diplomat, or a wannabee who just happens to be a professional money launderer. * I will not be naming Dominica's UNESCO "diplomats," for I am sure that the names on their passports are not their true legal names. We would need to deploy our facial recognition software system to accurately ascertain their real names, as some of them may have police records, be known as fraudsters, or otherwise be identified as having aliases.